WHAT IS IT? One Sunday is an intentional opportunity to live out the call of Pentecost: spreading the gospel to unreached places. Church plants often reach people and places that established churches can’t. 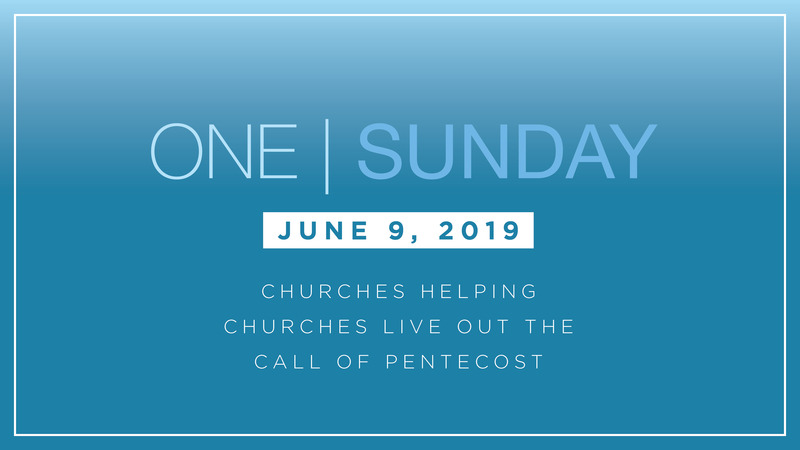 One Sunday is a way for your church to connect with a church plant so that you can support each other through prayer, partnership, giving, and more. By building up one another, we live out the call of Pentecost. OUR NEW MISSION: In the past, the goal of One Sunday has been to raise money. This year, we are reinventing what we do. We have a new goal: to help churches and church plants build long-lasting relationships and connections. We will be providing the opportunities and tools to do that. GET STARTED TODAY: Here you'll find descriptions of participating church plants and a form where you can select one to support. Then, you can be creative with how you connect: hold a combined worship service, invite a church planter to preach, take a donation, pray for the church plant, volunteer at or with them, or find your own way to support them. You do need to pick your church planter to support by March 31, 2019, in order to give us enough time to do the work on our end. Also, please look below for tools and resources. If you have any questions, please contact our multiplication team at multiply@rca.org.